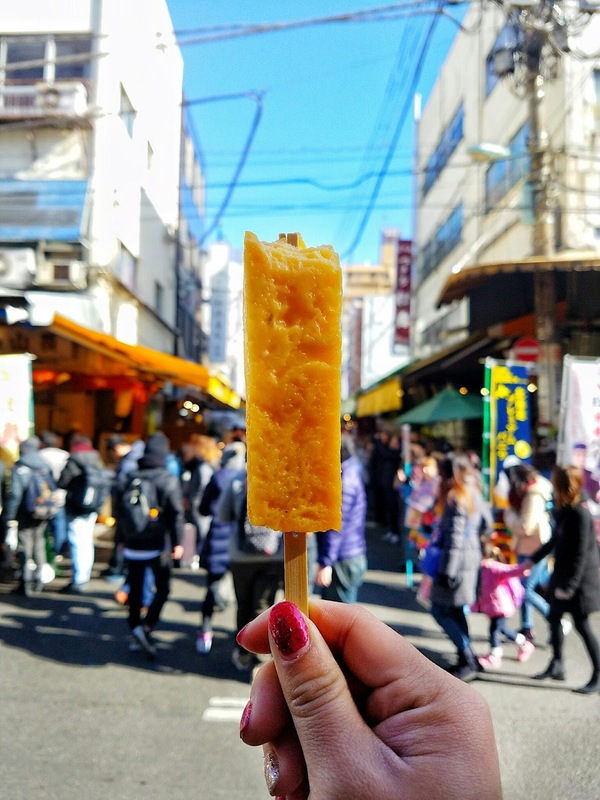 Tsukiji Fish Market Photo Diary 2017 & What to Eat! 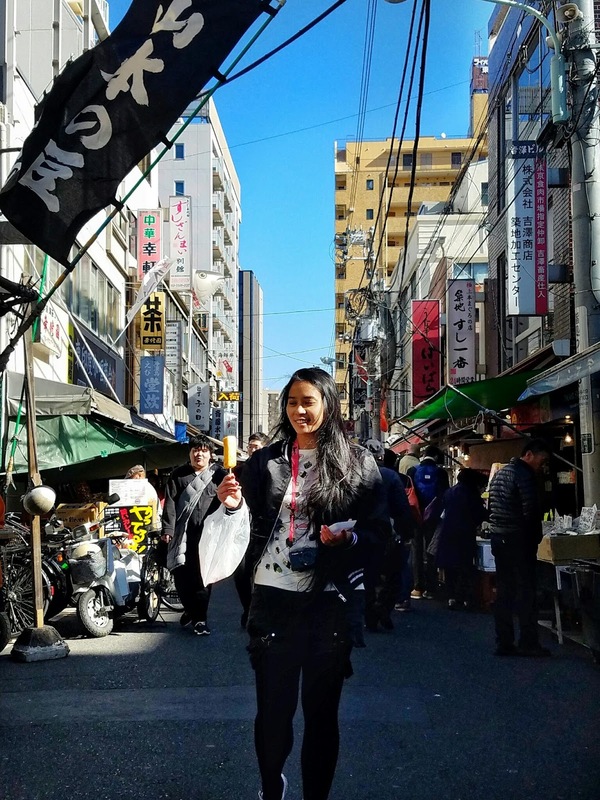 On our first whole day in Japan, we ventured off to the infamous Tsukiji Fish Market where buyers from all-around wake up before the sun rises to auction for the best top quality fish. There was no way we were waking up that early nor would there be a train available at that time, but settling for an 8:30 am start was good enough! 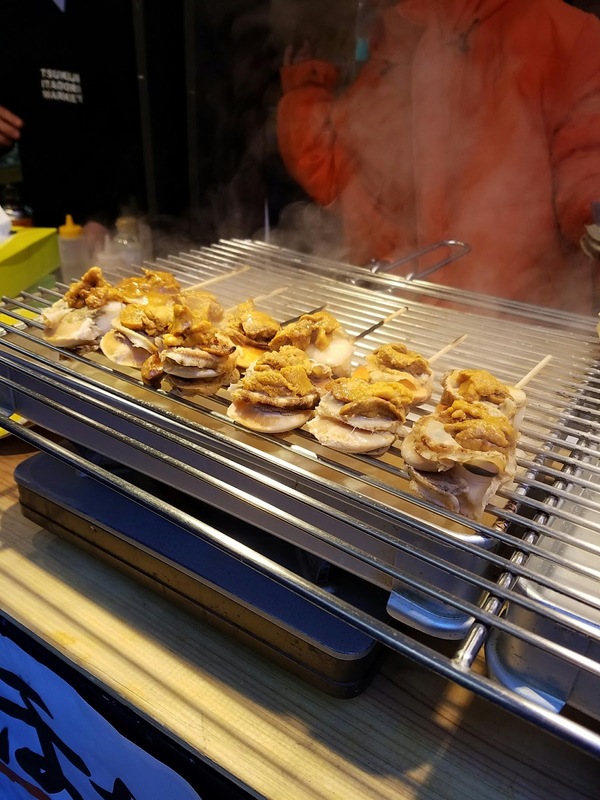 We hit up a bunch of stalls and tried many delicious items. 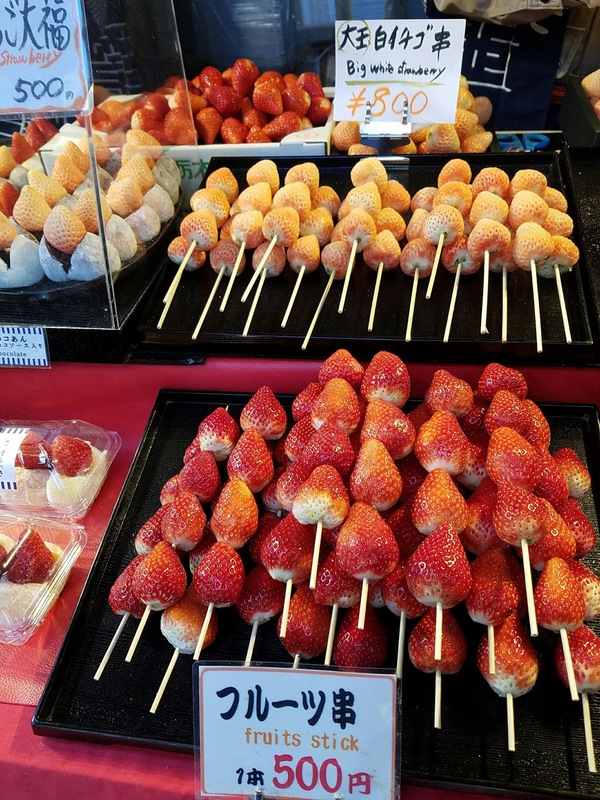 I'll first share a few shots of what you can expect at the market (including crowded streets with locals and tourists) and then photos of what we ate and my favorites will be noted! Fish roe at the market. Look at the pollack roe! Freshly sliced beef - that marbling though! Nice and fresh wasabi root! 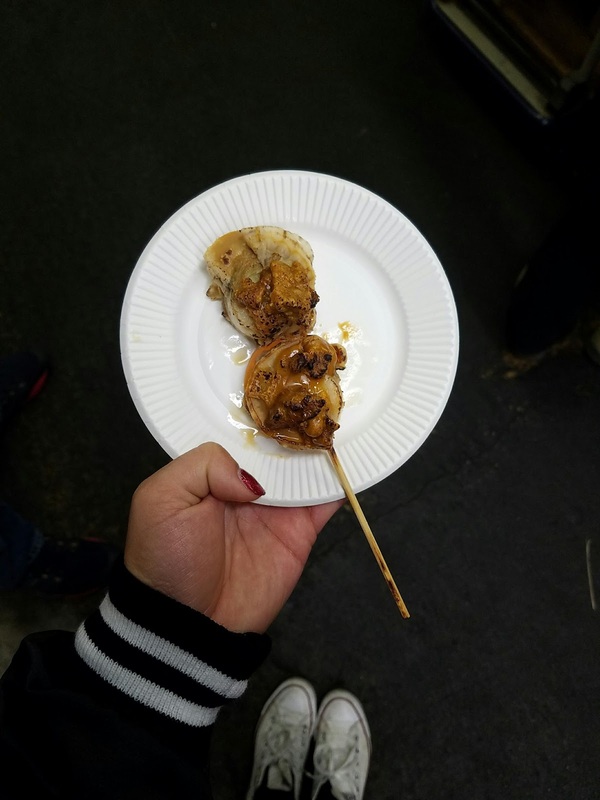 Now I'd like to share a list of all the foods we ate and honestly, I'd recommend all of them at least to try once! However, the ones with a (*) were my absolute favorites! 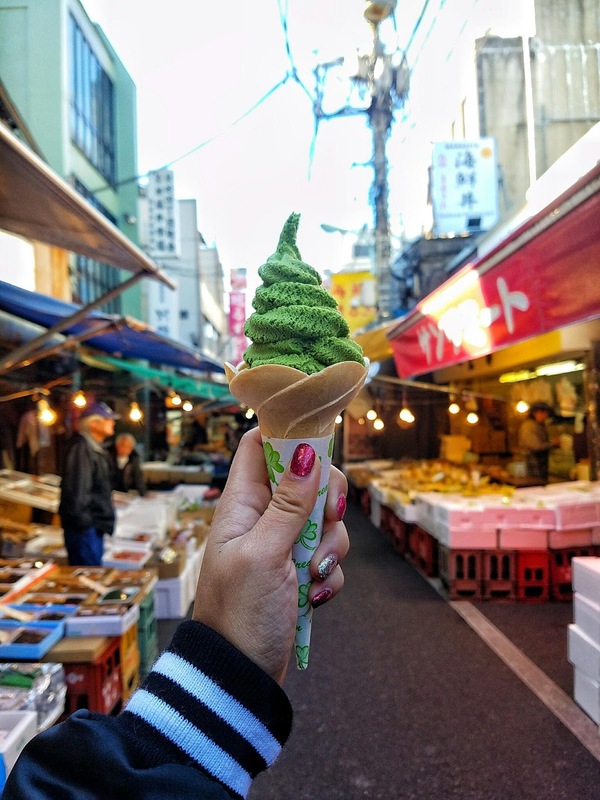 1) Matcha Soft Serve*: These little ice cream stalls are sprinkled within the market with a variety of flavors but of course I had to try the green tea powder one! It was creamy and so flavorful and yes I had it at 9 am in the morning! 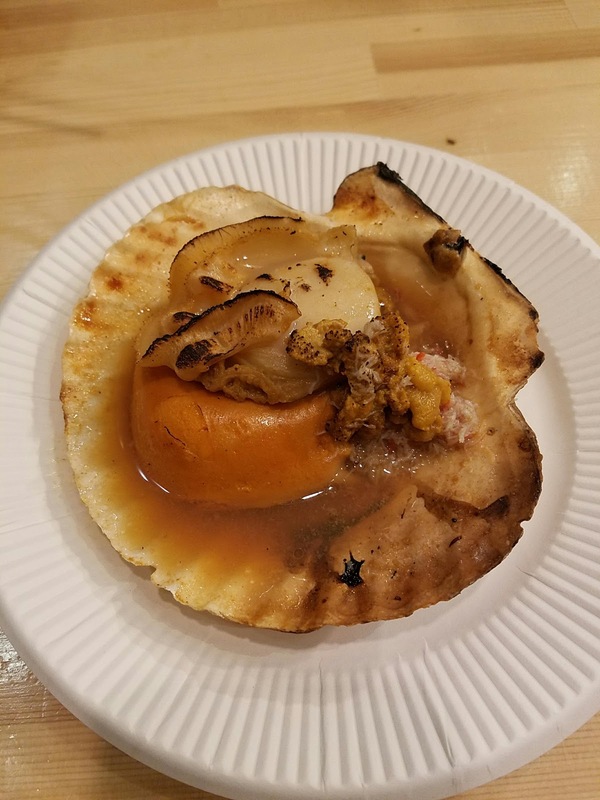 4) Sea Scallop on the Shell w/ Sea Urchin and Crab: Similar to the first one above, except this was a giant scallop and it was still on the shell it came from. A bit messy to eat but just as flavorful as the one stick and the crab meat was an added layer of texture and seafood flavor. Some bits of this were chewy and I still like the one on the shell better! 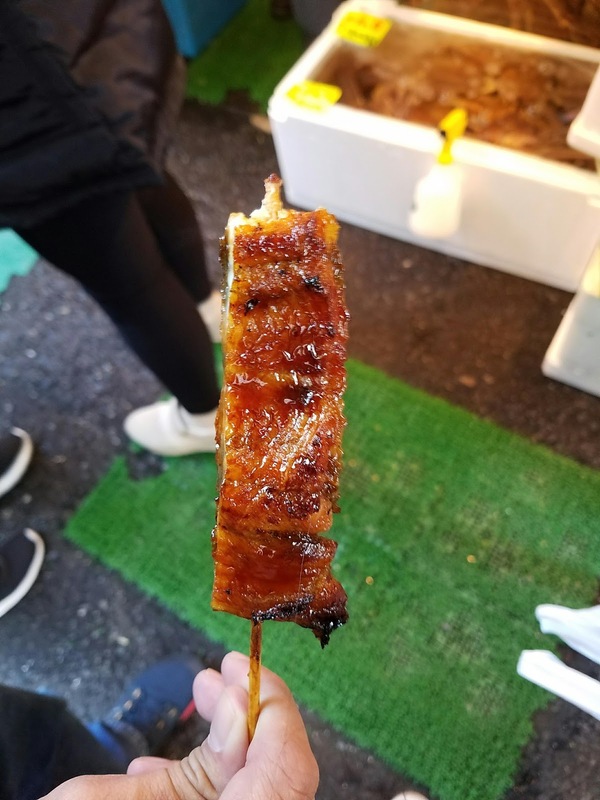 5) Grilled Unagi: Tasty grilled eel on a stick! If you love unagi then this is a no-brainer to try. The eel has a nice charring on it to add a nice bbq flavor on top of the tasty sauce. 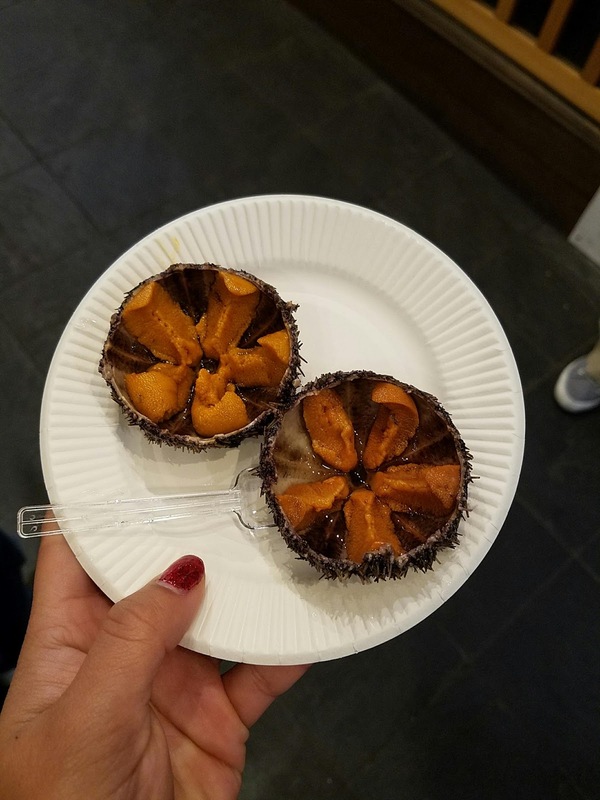 6) Freshly Opened Hokkaido Uni*: I almost passed up on this because I knew I would be having uni (sea urchin) again but when in Japan, EAT ALL THE UNI! This is as fresh as you can get as they are freshly opened and cleaned the uni. Eat alone or pair with some ponzu! 7) Kame no Te: Literally translated to as "Turtle Feet/Hand" (but don't worry, it's not really turtle! 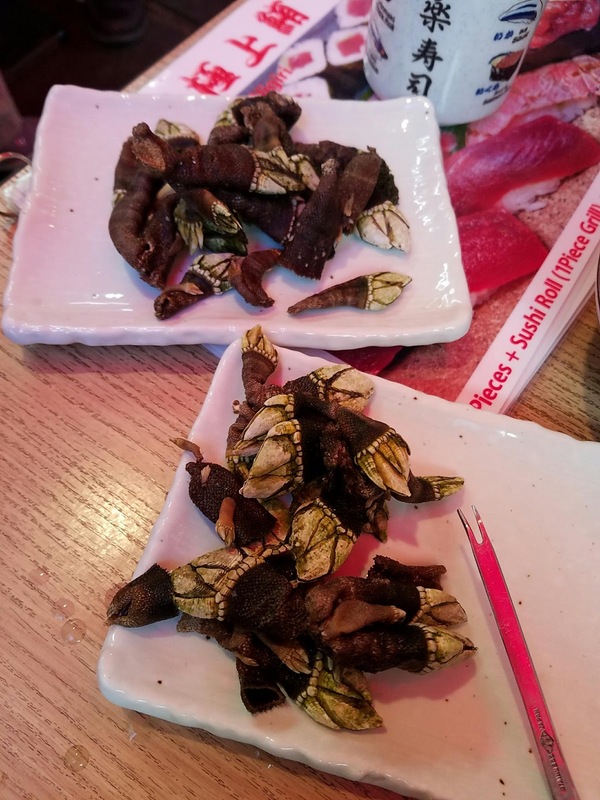 ), this is one of the weirdest/strangest looking foods I have ever tried. 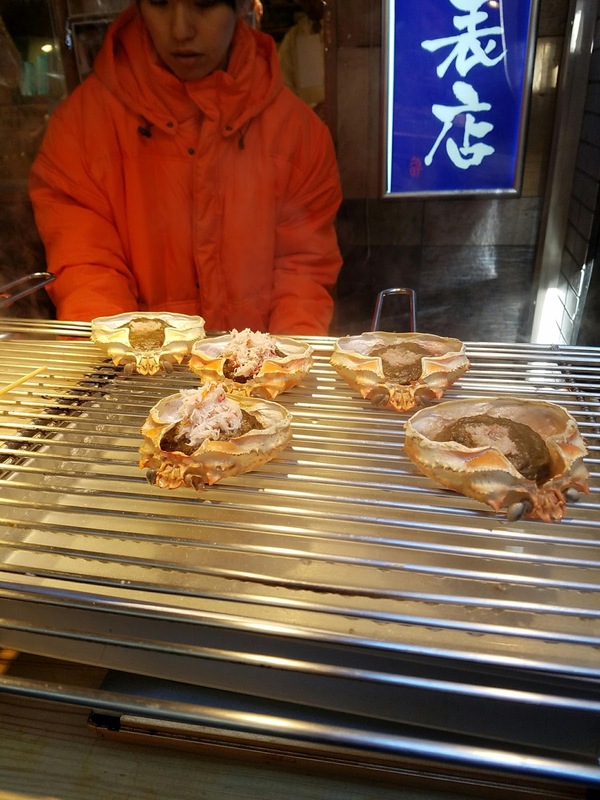 It looks like a barnacle but the meat inside is like that of a mollusk. It was different and I wanted to try it after I saw a photo of it outside of the little food stand. I remember seeing these on a food or travel channel show (no idea which one) and they've always been stuck in my mind! 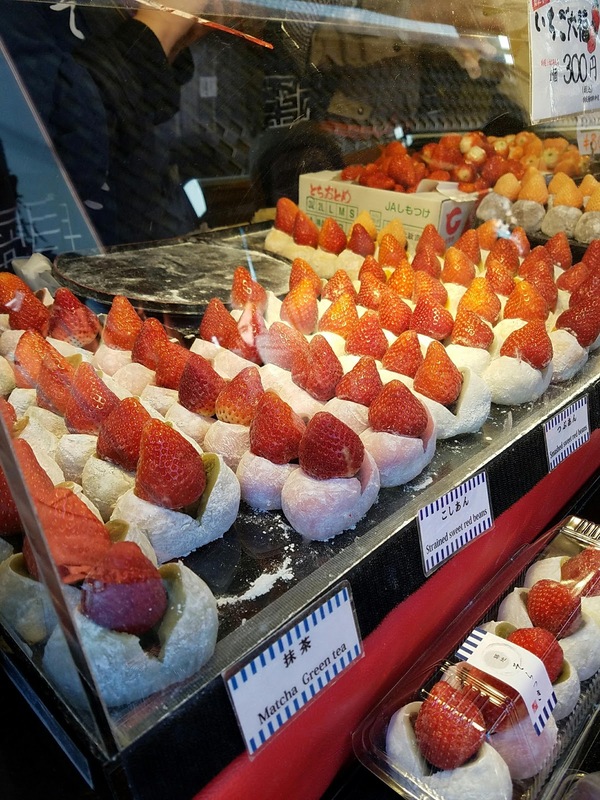 8) Mochi Varieties: We stumbled upon a stand that had different kinds of mochi available and we had to get ourselves a little tray. From the green one going clockwise, we have a wheat grass (I think? ), smooth Sakura Mochi, Kinako Mochim and Sakura Mochi (rougher looking one that's my favorite!). These are delicious paired with hot green tea as and balances the sweetness of the mochi. 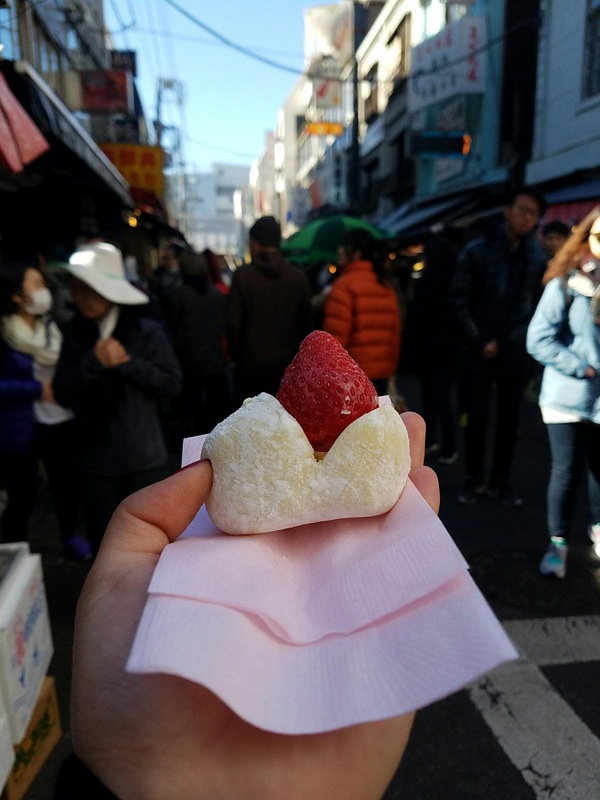 I'd HIGHLY recommend the Sakura Mochi! The briney shiso leaf is such a good compliment and unique flavor. 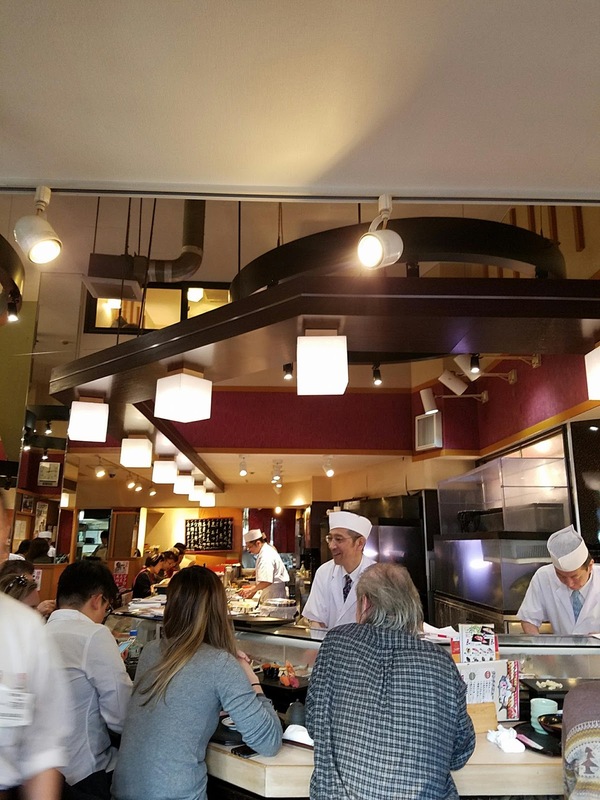 10) Lunch at Sushizanmai: After all the food we ate, we ended up going to this popular location within the market for lunch. It was a bit of a tourist attraction, but it had good reviews. Each of us ordered our own different trays of sushi and mines came with some delicious tuna belly and uni! That's it for my photos within the Tsukiji Fish Market. 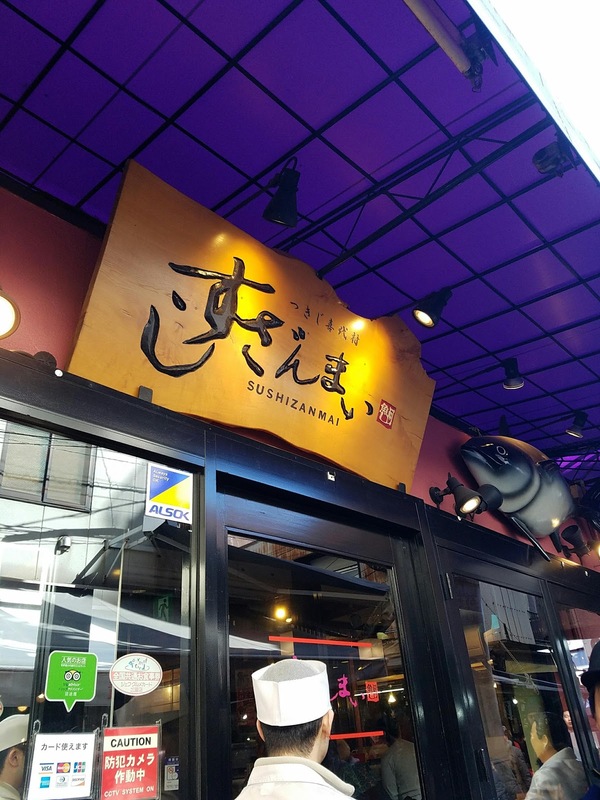 If you're in Tokyo, this is must stop locale for all your seafood needs!